You want to raise kids with the self-confidence they need to live their best life. But how? Thanks to recent research, we have a better understanding of how specific family relationships directly impact adolescents’ self-esteem. Here are some practical tips to help build self-esteem within your own family. 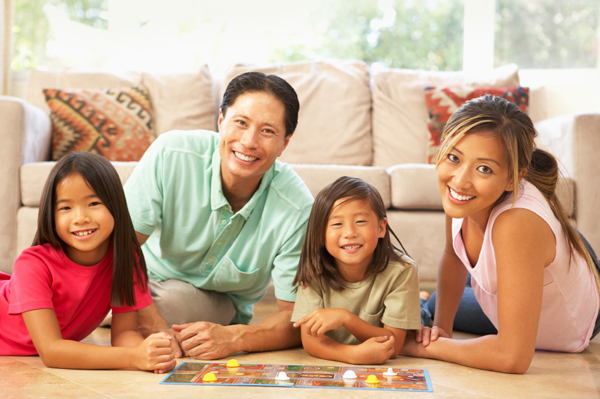 Tip: Put away all your i-things and host a family game night! Thanks to the ongoing Penn State Family Relationships Project, funded by the National Institute for Child Health and Human Development, we now know that sibling relationships have a significant impact on the self-esteem of adolescents. According to the study, siblings who spent more constructive time together had higher self-esteem, while siblings who spent more time doing unstructured activities together experienced lower self-esteem, fewer social skills and more feelings of depression. In situations where discrimination was involved, strong sibling relationships helped kids cope with discrimination and maintain high self-esteem. Tip: Schedule a one-on-one “kid date” once or twice a month for each child to enjoy a special outing with mom or dad. Contrary to popular perceptions, the Penn State Family Relationships Project showed that time kids spent with their parents actually increased into the early teen years. Not so surprising was the fact that the kids who spent more time with their parents showed increased academic interest and fewer risky behaviors. “Our research shows that, well into the adolescent years, teens continue to spend time with their parents, and that this shared time, especially shared time with fathers, has important implications for adolescents’ psychological and social adjustment,” said Susan McHale, professor of human development and director of the Social Science Research Institute at Penn State. What sort of implications did spending time with fathers have? The study showed that teens who spent more time with their fathers in a group setting had better social skills with their peers, while teens who spent more time alone with their fathers had higher self-esteem. Praise your kids for their efforts, not for “being smart.” A Stanford research study showed that kids who were praised for their efforts were better able to learn from their mistakes and may have higher self-esteem because they believe they can improve (and don’t think they know it all already).